How many times has somebody paid you a compliment in the last month or so? Said your hair looked nice, that you’ve lost weight or that your outfit really suits you? Maybe they’ve told you you’re coping really well with being a mum or said a meal you’ve cooked was delicious? Now think about how many times you’ve replied with something like ‘oh, this old thing?’ Or ‘it’s just something I threw together’ or even ‘lost weight? I’ve put on 8lbs and look horrific’. Why? Why are we so quick to bat away compliments like they’re a wasp buzzing around your head? It can take a lot of nerve for someone to pay you a compliment, especially if they don’t know you that well. How would you feel; Having the guts to actually comment on something great about someone you don’t know well because you’re trying to build a friendship with them and they rebuff your well-meaning comment. It’d feel pretty crushing I’d think and could be the difference between that person continuing to compliment people in the future! It’s a terribly British thing I think, perhaps we fear people will think we’re being conceited if we accept their compliment without a little argument about it? Very doubtful or they wouldn’t have offered it in the first place! Be humble, say thank you even! 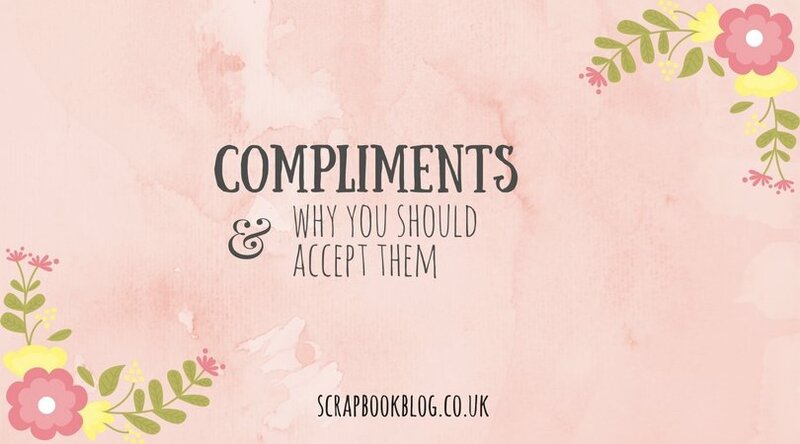 Not only is it much nicer to accept a compliment but it actually makes you feel so much better! Okay, so you might not think you look any slimmer than last time you saw your friend, but if they say you look like you’ve lost weight then you probably do look slimmer! It’s hard to see physical changes in our own bodies at the best of time so having someone point it out in a positive way isn’t something to brush off! The same goes for someone telling you you’ve cooked a great meal, or dealt with a tricky situation brilliantly. Try to accept their positive message, absorb it and feel good about yourself! So many of us are so down on ourselves all the time, it’s something I’ve struggled with a lot especially since becoming a mum. My body had changed, my priorities have changed and I even doubt my sense of style most days. But when someone does compliment me it makes me feel ten times better about myself and that feeling stays with me for the rest of the day! For the last few weeks, I’ve made a conscious effort to accept compliments and to thank the giver, and if it really has made my day I tell them that too! So, go pay someone a compliment, make them happy and accept the next one that comes your way with grace! Previous Post DC Superhero Girls! This is so true Lauren. I can’t remember who it was now but someone told me a long time ago always to accept a compliment and say thank you and although it’s hard sometimes that’s what I always try to do.